First, I would say that moving to Israel was not an easy task, it was very different than moving to Hong Kong for example. It was also a different motive: I moved to Hong Kong for a job and I moved to Israel for love. It made me feel more vulnerable and dependent, not only on an emotional level but also on an official one as the visa you need to apply for is called "partner visa". This type of visa only allows you to work in the country, and under harder tax conditions than a regular citizen and solely depends on your relationship with your local partner. It can also be an administrative nightmare that can take months and you need to psychologically prepare yourself to struggle against a brainless administrative machine that shows absolutely no empathy and treats you like you owe them something. Yet, beside moving there for love, it is true that I was also very curious to discover this mysterious country, to understand more about this small piece of land which is the object of so much passion. I was also in a stage of my life where I had travelled for one year while teaching yoga, and the idea to settle down with my partner in his country where I could keep teaching yoga was not seen as a sacrifice. I didn't feel I was going to Israel to follow my partner, it was more of a personal choice motivated by various reasons. So here are 11 facts about Israel that I find the most surprising, fun or admirable about this fabulous country. If you can speak Chinese in the Holy land, like in my case, you have the guarantee to find a job easily, as it is still a rare skill. There are an increasing number of Israeli students who are learning Chinese and go to China to further deepen their skills but still there are not enough Chinese-speaker in the country for all the needs of the work market. China and Israel have now a lot of mutual interests and their economic and diplomatic relationships gets more and more tight each year. There are currently many direct flights between China and Israel and many businessmen and delegations travel to and from China every day. The number of groups of Chinese tourists coming to Israel has also been booming in the last couple of years. The irony of all this is the more I learned about those questions and tried to explain, the more everything looks absurd to me. It also confused me, and at some point, I almost felt uncomfortable living in this country as I was diving deeper into its religious, historical and political dimensions. I realized how living in Israel was so much more than living in any other country in the world and that people could judge you. For example, when I go back to France, I carefully chose to say or not that I am living in Israel depending on who I am talking with, as I am afraid that it could be interpreted and of course it would generate some endless debates and even provocations. Israel is the country with the most vegetarian people in the world after India and the country with the more vegan people in the world. It is estimated that five percent of the population (about 400,000) no longer eat any animal derived product. The good thing is that there are many vegetarian and vegan choices in every restaurant, even in burger and meat places. For example, Domino sells a vegan pizza made with soy cheese exclusively in Israel! I have tried to understand why Israel has been swept by this vegan revolution and became the most vegan country on Earth and I have heard different answers. Among them was a vegan activist video that went viral in the country ago and because Israel is such a small country, it has spread super-fast. Additionally, a lot of Israeli cuisine is already vegan. Foods like hummus, falafel, and couscous are some of the most common dishes. I also heard that because many Israeli want to keep kosher, they’re already used to cut certain foods out of their diets, and as nearly all vegan products are already kosher, it makes things easier for them. More here. Israeli and Jewish people are one of the most tight-knit community I have ever seen. For one of the most important holiday in the Jewish tradition, called Pesach or Passover, there were many posts on Facebook about people offering food at their places for others who would have no place to go on that evening. 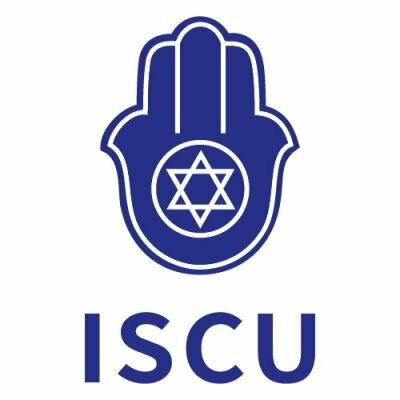 Another example, when I was traveling in India, an Israeli lady got a car accident with a rickshaw and was admitted in a hospital in New Delhi. Her daughter was in Israel and posted on Facebook about this, asking Israeli traveling in Delhi to visit her at the hospital to show support. Within a few days this lady received many visits of Israeli random travelers who didn't know her but came with flowers, food, took selfies with her and posted them on Facebook. This sense of solidarity really blowed me away. Israel is the only country in the world that starts its calendar week on a Sunday. It took me a while to integrate this concept and I did when I started to work in an office, because honestly when you are a yoga teacher or a freelance you don't really care which day of the week it is, you are free to create your weekend every day! So, when I started working in an office, I realized that I should start to be happy on Wednesday, the old Thanks God Its Friday become Thanks God Its Thursday! So, Saturday, the day of Shabat, is the equivalent of our Sunday. There is no public transportation, and offices, shops and businesses are closed. In Jerusalem for example, the city is like a ghost city, there is nobody in the street, no car, as it is not allowed to drive during Shabat. So, Saturday is the last day of the week in the Jewish calendar and Friday is the equivalent of our Saturday except that instead of going for drink or party with friends, here you go to Shabat dinner at your partner's family, which can be a pain for the foreign partners. The Hebrew language dates to the Second Millennium BCE and has not been spoken for more than 2000 years. It is a revived death language. and was revived as a spoken and literary language in the 19th century by Eliezer Ben Yehuda. So, when you learn the language, it is very fun to see that there are a lot of words that doesn't exist and that are imported from other languages mostly English, such as "chocolate", "university", "autobus", "sport" and many others. And as a French speaker, learning Hebrew was not so hard, once you learnt the system of alphabet and get used to the fact that it is read and written from right to left, the most difficult part has been done. Hebrew grammar is pretty simple with only three tenses (future, past and present), compared to the six or seven tenses that we have in French. I also find Hebrew to be a very logical language with not many tricks or what we call "exceptions" in French. Literally speaking, the country is so small and with its 8 million inhabitants, this sentence is not just a simple proverb. There is an idea called the "six degrees of separation" that states that all human being are six or less degrees away from each other, so in Israel, the rule is there is only two degrees of separation between every Israeli. So, the first thing you do when you meet an Israeli abroad is to play "pitzuchim", literally meaning "cracking the nuts", trying to see which connexions you have in common. It is about asking each other where each other are from, served the army service, studied... until the first common connexion appears. So basically, after two or three questions the game is over. This is related to the two points above, first small population and second, strong sense of community. For example, the easiest and fastest way to find a new flat, a flat mate or a job is through Facebook groups. Even when Israeli travel abroad they have specific Facebook group by country to share every tip and help each other in case. They have very specific groups such as "Israeli in South America", "India 2017", "jobs for Chinese speaker". When I was traveling in India those groups were the most reliable and fast sources of information that I could find, provided that you can read and write Hebrew of course. I found three of my jobs in Israel through Facebook. My last job, was found because my partner posted on his Facebook page about the fact that I was looking for a job, giving a brief description of my profile and a picture. The day after, we received a call from a friend of a friend of him who asked me to send my resume to him. The day after, I had a phone call from this connexion's company and two days later they offered me a job! The cost of living is expansive in Israel and the salary level is low. To have a general idea, a meal in an inexpensive restaurant costs 15 Euros in average. A meal at McDonalds (or equivalent Combo Meal) costs in average 11 Euros while minimum salary is 7 euros per hour. The rent of a one-bedroom apartment in Tel Aviv will be 1,200 Euros per month. And average monthly net salary after tax is 2,230 Euros. People work hard with an average of 45 hours per week (9 hours per day). So, for all the French who have moved here from France, the adjustment can be challenging as we are so used to our 35 hours work per week and our five or six weeks annual leave per year! More here. A big portion of the population is not working and is supported by the country. The ultra-Orthodox (or Haredi) men usually don't work and receive financial support from the country so that they can study the Torah. This coupled with the fact that there is a high birth rate in their community (double than the national average) and the fact that their voice is important on the political scene, makes it a real political and economic issue in the country. More here. It is compulsory to serve in the army at 18-year-old for both sexes, three years for men and two years for women. After the army service, a lot of those young people prefer to enjoy life before starting studying. So, a lot of them work in temporary jobs to save money and go to travel for long period of time, usually 6 months up to 12 months or more. Then only when they come back, they start considering studying. So, it is very common to meet people who are 28 or 29 and are still students. This is different than the culture in France or in Hong Kong where straight after high school, students are pushed to choose a degree and start studying. And if they eventually manage to graduate, finding a job is the top priority and they will barely afford themselves only a summer holiday before starting to work. It is not a joke, I have been to two weddings so far and this is a usual dress code among the male guests. The wearing style is in general super casual in Israel. It is very rare to see men wearing suits in the street, even in a business area of Tel Aviv. In my office, one of my boss was wearing Crocs and the other one was just walking bare foot all day long. In the city, it is common to see people wearing flip flops, which makes sense as Tel Aviv is the city by the beach. I love wearing flip flop so for me it was great to be able to go to the office with flip flops. But when I came back to Paris during summer, I was the only one who was wearing flip flops. So now you can imagine that in a wedding, men will swap their T shirts, shorts and sandals against shirt and jeans, and I'm not even talking about a white shirt even, simply a checked shirt will do the job. There are many other things that I would like to talk about here but it would be too long, I invite you to discover this country by yourself, and to contact me privately if you need any recommendations!